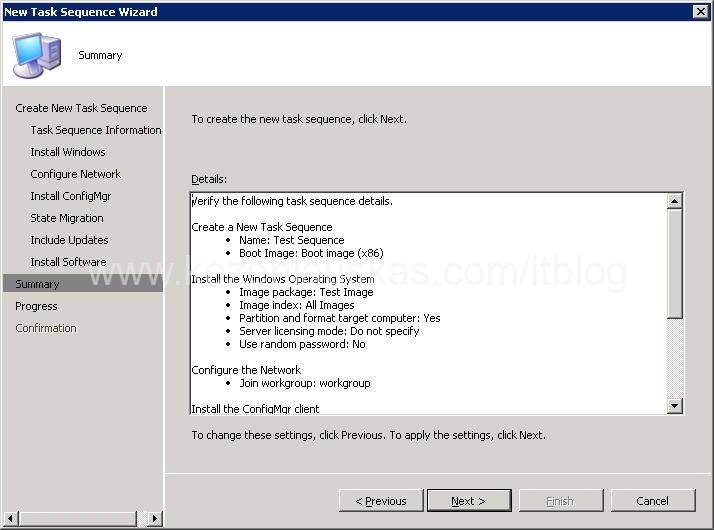 In Install the Windows Operating Systemclick Browse and select the image that you wan to use. Now you need to provide SCCM client Package which you created earlier(How to create SCCM client Package and Program for OSD) and click Next. 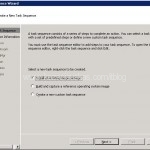 Untick all the boxes in Configure State Migration. This is because we are not migrating PC. 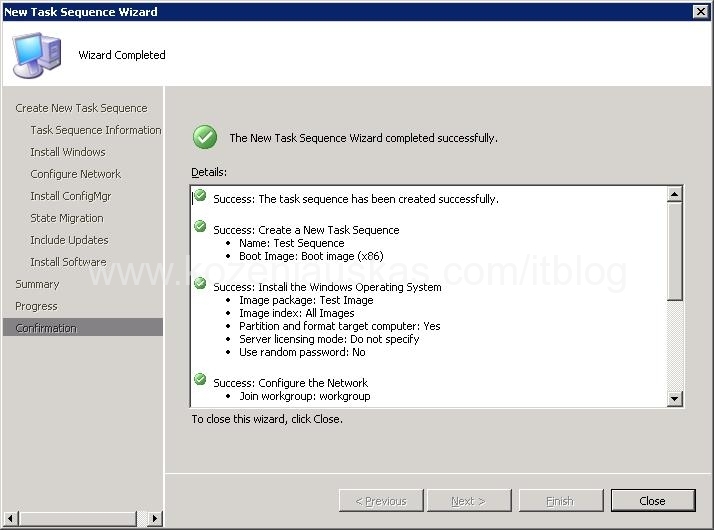 If you have Updates configured in SCCM environment then you can install them during the imaging process. In my cae i slect Don’t install any software updates. 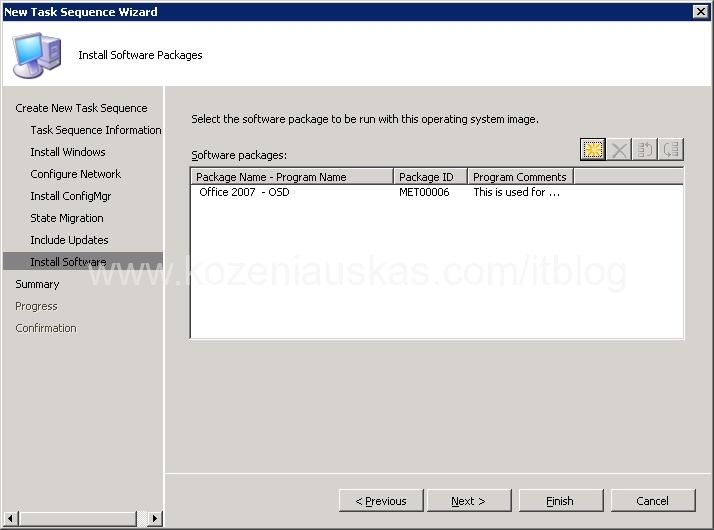 You can make SCCM install software during imaging. But you have to have packages prepared beforehand. I selected Office 2007. You can leave it blank. Click Next. Wait for progress to finish and click Close. 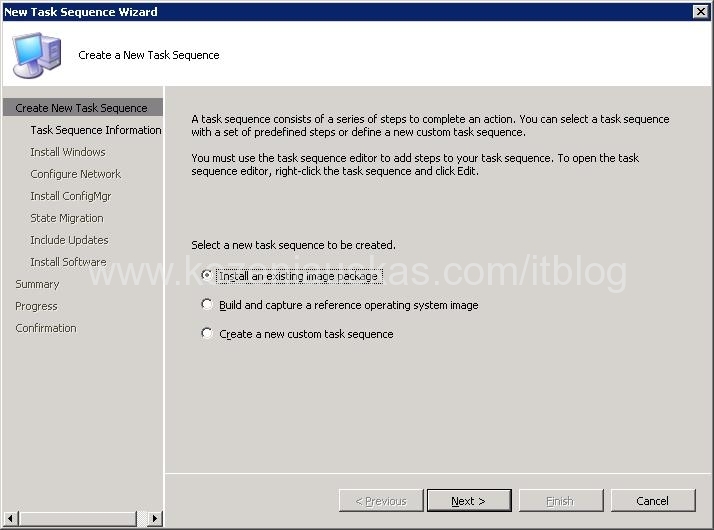 The task sequence is ready but by default the SCCM does not use Quick format after creating partitions. So depending on your drive size it can take some time to format the drive. So here are the steps to change that. In Properties tick Quick Format. 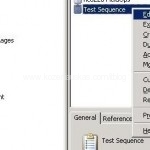 Click OK and OK again in Task Sequence Editor. Now you need to advertise this sequence. I will show you how to do that in my next post. There is an issue with the quick format when booting from PXE. Any resolution. can you tell me what the problem is ? As I’ve been using it and never ran into it. it seems that you also must uncheck the box that says “allow users to interact with this program” in the environment tab.